There are two corners of the United States that are known as being bastions of liberalism and Democrats. The northwest with Washington and Oregon are one, the other is New England in the northeast corner of the nation. New England is composed of Connecticut, Maine, Massachusetts, New Hampshire, Rhode Island and Vermont. Some of the strictest gun control laws in nation are found in New England states, especially Connecticut and Massachusetts. Connecticut has long been the home of some of the most popular firearms companies in America, but some have already began expanding outside the state with rumors of relocation surfacing. Amongst the New England liberal states lies one state that is taking a different approach to gun control. Instead of passing laws to that further infringe on the Second Amendment rights of its citizens, one state is looking to restore some of the Second Amendment rights that were previously infringed upon. New Hampshire! A lonely island surrounded by liberal Democrats and liberal Canada, New Hampshire is a ray of sunshine in one of the politically darkest corners of the nation. Currently, Republicans hold a 14-10 lead in the Senate and a 226-174 lead in the House. “AN ACT repealing the licensing requirement for carrying a concealed pistol or revolver. On Thursday morning, the New Hampshire House of Representatives voted to approve SB 12, sending the measure to Governor Chris Sununu, a Republican. Sununu should be a familiar name since his father is John Sununu, who served at White House Chief of Staff for former President George H. W. Bush. John Sununu served as governor of New Hampshire before going to Washington and then served as the Chairman of the New Hampshire Republican Party. Chris Sununu was sworn into the Governor’s seat once held by his father, on January 5, 2017. Before that, he served for six years on the Executive Council of New Hampshire, also known as the Governor’s Council. 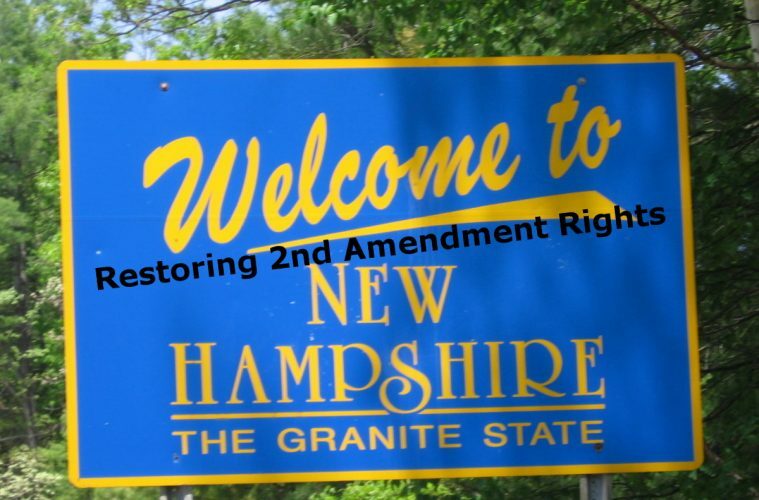 With Sununu’s background, gun rights advocates are hopeful that he will sign SB 12 into law and help restore the Second Amendment rights to the residents of the Granite State. The NRA is encouraging everyone to contact Gov. Sununu and urge him to sign the bill into law. You can do so by clicking here. Next ArticleIs Gorsuch Playing Confirmation Game with Trump Criticism?